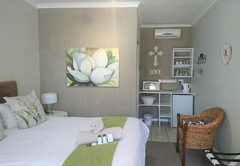 Indigo Moon Guesthouse is one of the Lichtenburg guest houses and provides accommodation in 16 guest rooms for tourists visiting the Central Region. 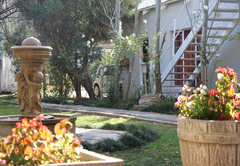 Indigo Moon Guesthouse is a four star guesthouse situated in the country next to the Lichtenburg Eeufees Lake, 250km from Johannesburg. 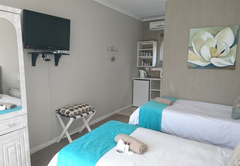 Indigo Moon Guesthouse offers accommodation in Lichtenburg in eleven luxury rooms, free private parking and friendly staff that will assist in any way possible. 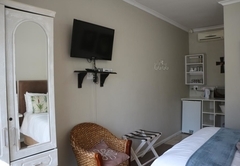 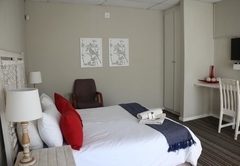 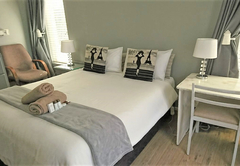 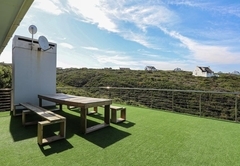 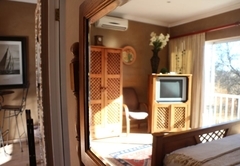 We have 11 Standard Luxury double or twin rooms fitted with en-suite bathrooms, DStv, Air- Conditioning, microwaves, bar fridge, tea / coffee facilities all with free Wi-Fi; 1 Honeymoon Suite. 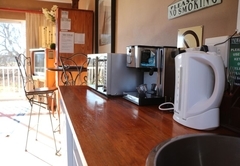 Breakfast, lunchbox’s and dinner are available upon request at an additional surcharge. 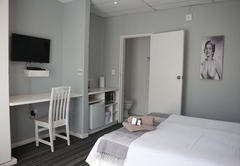 Dinner is served in the room and must be booked before 14h00 every day. 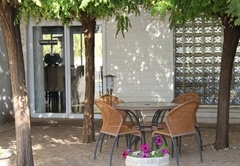 The property also has barbecue facilities at guests own expense. 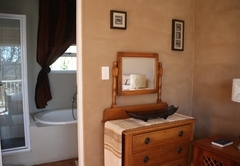 Guests at Indigo Moon Guesthouse can enjoy views of the adjacent Lichtenburg Eeufees Lake. 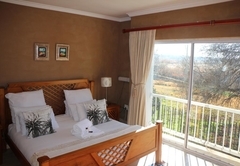 The Lichtenburg Golf Club is a 7 minutes’ drive from the property and the Mafikeng Game Reserve is 58.5 km away. 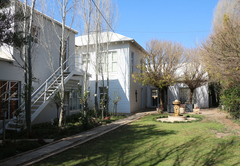 Activities in the area include the Agricultural Museum, Bakerville Diamond Digging, Molope – Eye and Wondergat for scuba-diving. 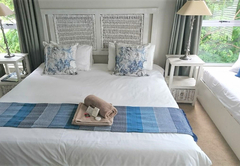 Note that the Guesthouse is divided in two separate venues. 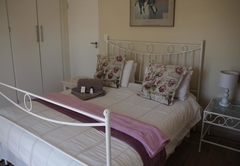 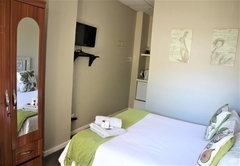 One half of the Guesthouse is situated in 68 Greef Street and is only a 5 minutes’ walk to town. 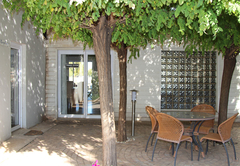 The facility is suited with a swimming pool with barbecue facilities. 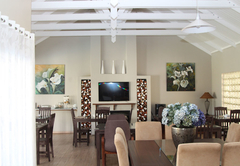 The other half is situated in 1A Daniel St and overlooks the lake also with barbecue facilities. 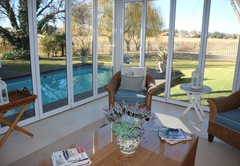 This room has a view of the swimming pool and garden. 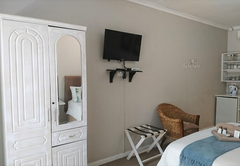 It has a king size bed, separate bathroom with a bath & shower, DStv, small bar fridge, microwave and coffee/tea facilities. 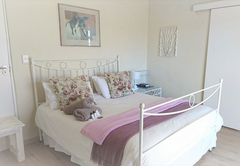 The room has the option of 3 guests sharing a room with 3 x 3/4 beds or it can be made into 1 queen size bed and 1 x 3/4 for a child. 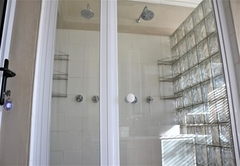 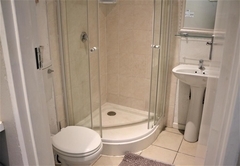 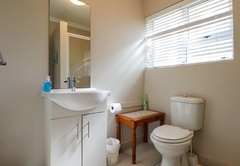 It has a separate bathroom with a bath, small bar fridge, microwave, DStv a Fan and coffee/tea facilities. 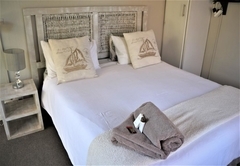 These rooms are fitted with a queen size bed or 2 x 3/4 beds. 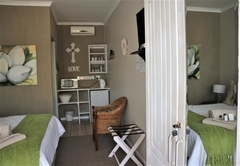 The rooms have DStv, WiFi, microwave, small bar fridge, en-suite bathroom with a shower, coffee/tea facilities and air conditioning. 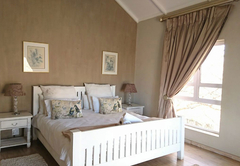 This room is fitted with a king size bed. 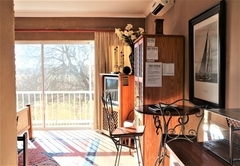 Open space room. 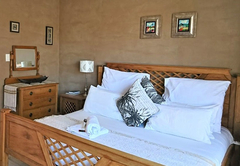 It has DStv, WiFi, microwave, small bar fridge, air conditioning, coffee/tea facilities and a en-suite bathroom with a bath and shower.